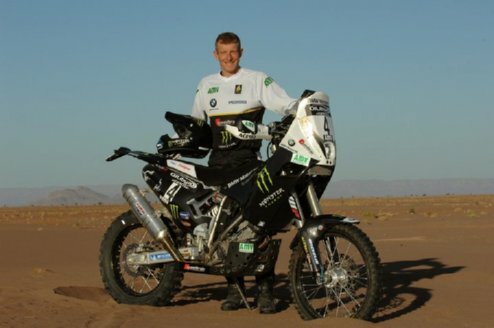 2011 Dakar ARGENTINA – CHILE, some changes… and all with 450 cc. We are already there, a few days after the third Dakar in South America starting this coming January 2, with pilots switching brands, new pilots, an extended route, a single 450cc There will be no exceptions will be 450 all up… KTM now has its 450. This time ASO has made the trip from the hand of David Castera, is preparing to begin on January 2, draw the boundaries Chilean border with Bolivia (east) and Peru (north). The rest day will take place in the last city in northern Chile (Arica), at the gates of the Peruvian border. Argentina also visit new cities and regions. The further to the northwest of the country, Salta, Jujuy and Tucumán. New cities, new territories and more desert and hard courts that will again test the resilience of men and machines. In 2011 and shall come into force the obligation, without any exception, to participate in the test with 450 cc bikes. Recall that the ASO last year approved an exception for a select group of pilots could engage with the larger displacement bikes but with a flange that limited power. Moreover, ASO will limit the benefits of GPS, which only serve to confirm the status of the ‘waypoint’ (mandatory crossing points), giving priority to an essential element in the over thirty year career: the road book. Jordi Viladoms, the Dakar with Yamaha. Viladoms has finally found a team that compete in the next edition of the world’s toughest rally, not any team, one of the official, with a consolidated bike with options to everything, and that Yamaha is ready to support three drivers: Portuguese Helder Rodrigues, Spanish and French Jordi Viladoms Olivier Pain. It appears that Yamaha feel bad what Frétigné did ,and are willing to keep on its agenda the Dakar Rally. Laia Sanz, will debut in the race with a Honda CRF450X rally and Jordi Arcarons DAKAR will return to this time as a backpacker Trial champion Laia. 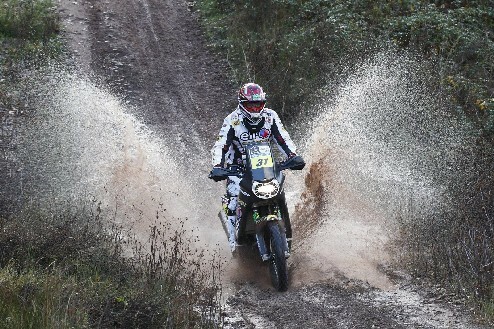 Arcarons will ride the bike to run the next edition of the Dakar rally. But his, this time not to win but to make a function always difficult: backpacker. Jordan is the coach of Laia Sanz and go after her to try to get trial champion finished the Dakar 2011, one of the goals is to win the female category. Ignacio Chivite look on his Bultaco Frontera 370, 1978, becoming the first driver to successfully complete the next edition of the Rally harder and difficult in the world with the Spanish company. 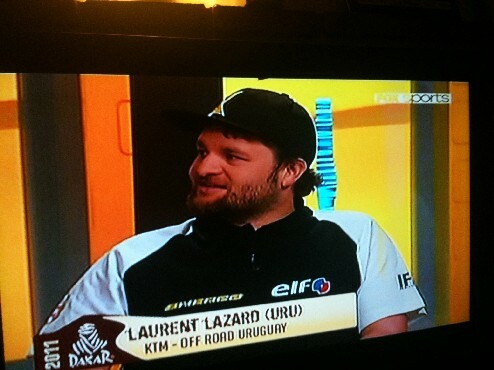 2011, will be a year to remember, the pilot ( born in France) Uruguayan now representing Uruguay in International Enduros, as the DAKAR, being part of the team SHERCO, where he will be partner with David Casteu (Fra) for the next Argentina – Chile DAKAR 2011, after many years difficult to obtain contracts and sponsors to compete, a chance to hit the door of this.French pilot Uruguayan Official compete with a brand, hes work has been rewarded and we can only wait for the arrival of acomplishment from the hand of a team that will be (the people)talking about in Latin America, the Chilean Lopez was first with the official mark Aprilia and now Laurent Lazard in Sherco, two South Americans with a lot of talent and potential to support new brands in this that was long dominance by the color orange…..
SHERCO… 16 are the current models of this brand among, Enduro, Trials, MX and Supermoto. Born as a result of the passion for testing Marc Teissier, Sherco has carved a niche for itself among the leading manufacturers in the market, the success of this brand has been evident since the beginning.Sherco brand among users has enabled rapid popularity. The number of motorcycles available evidence was increased from one to four (Trial, Supermoto, Enduro MX), including a special model designed for children. The second Sherco plant, located in the French city of Nimes, will make the brand evolves and has more variety to offer the public newToday, Sherco has a significant presence in 50 countries on five continentsThese new models include the same quality and the strengths that have become associated with the name of Sherco. So we in Uruguay and why not all of Latin America we have a truly representative….congratulations toLaurent Lazard for this achievement in which deservedly won. 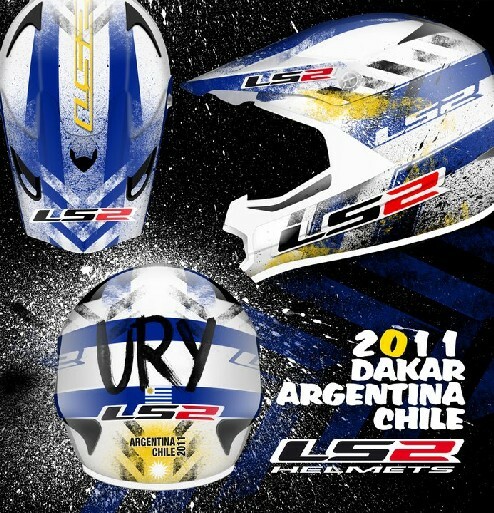 Today , i m in superbike race with my sponsor LS2 helmets in montevideo uruguay. 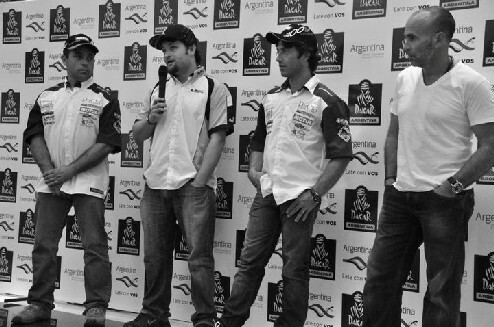 I participe at official dakar presentation in montevideo with alls uruguayens competidors and argentinian driver ORLY TERRANOVA. WITH GUTAVO TRELLES , ORLANDO TERRANO Y MAURO ALMEIDA. Big change for 2011 , after 4 dakar ktm , i go in official team sherco casteu aventure elf , for helping DAVID CASTEU .i very happy , is a big change and a big reposabiliti , but CASTEU is a friend , and i m very happy to be in the same team.